Hanoi (VNA) – The Vietnam Administration of Forestry (VNForest) launched an action plan on April 3 for communications to implement the Voluntary Partnership Agreement on Forest Law Enforcement, Governance, and Trade (VPA/FLEGT) between Vietnam and the European Union (EU). Since Vietnam and the EU concluded negotiations on the VPA/FLEGT in May 2017 and signed the deal in October 2018, the demand for information on the agreement has surged, with different business groups requiring different information priorities. The project, funded by the UN’s Food and Agriculture Organisation (FAO)-EU FLEGT Programme, will help Vietnam build and carry out programmes for disseminating the agreement and the Vietnam Timber Legality Assurance System (VNTLAS) to relevant sides in an appropriate and effective manner. It will also help the country prepare for realising information disclosure commitments under the VPA/FLEGT. At the launching workshop in Hanoi, Nguyen Tuong Van, Deputy Director of the VNForest division for science-technology and international cooperation, said the project’s main activities include assessing relevant sides’ demand for information about the VPA/FLEGT, assessing the availability of the disclosed information, and building strategies and plans for communications and information disclosure. The project will also compile and distribute a standardised set of materials about the agreement and the VNTLAS; provide information for the administrations of localities; and popularise information to domestic wood processors and exporters, FDI firms, and the media, she noted. Information disclosure is currently facing numerous problems as there is a lack of sufficient, updated, and accurate data, while information and statistics are still scattered and do not match one another across various ministries and sectors. Deputy General Director of VNForest Pham Van Dien said the VPA/FLEGT is legally binding, aiming to improve forest governance and promote the trade of legal wood and timber products from Vietnam to the EU. It will affect many parties in the country’s wood supply chain, with each of them affected at different levels and thus each requiring access to information relevant to them about this agreement. He emphasised the project’s importance as Vietnam and the EU are preparing to implement the VPA/FLEGT. It will help solve communications and information disclosure issues so as to promote the agreement implementation. 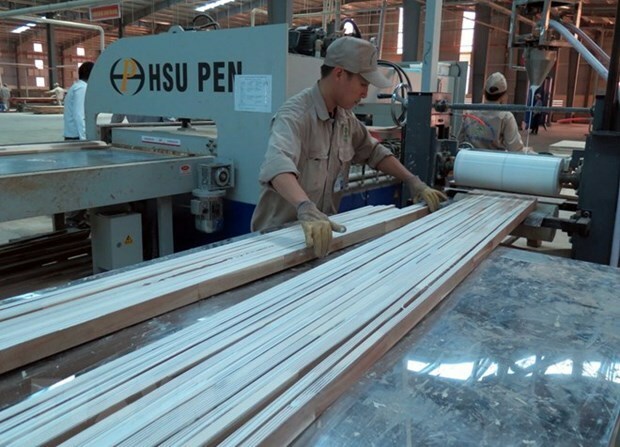 In 2018, Vietnam earned 9.38 billion USD from exporting wood and forestry products, making up over 23 percent of the agriculture sector’s export turnover and recording a trade surplus of 7 billion USD. The country now has about 4,500 wood processing and forestry businesses, 95 percent of which are private firms.